Surprise was the feeling of the day as two men struggled to pull out a very long poisonous snake that had hidden under their car during a trip. 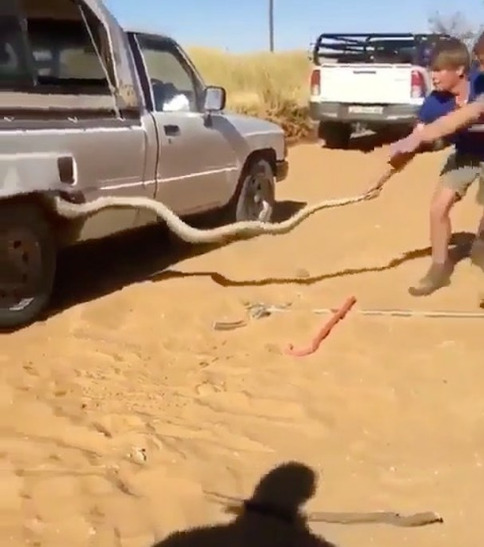 Two men have been captured on video which is going viral on social media, struggling to pull out a very long poisonous snake that had hid under their car during a trip. The men in the video footage can be seen struggling to pull the reptile as another filmed the whole incident.